People across the region have been showing their sympathy and solidarity with the victims and their families. Today - in Oxford hundreds gathered for a march of remembrance. Kate Bunkall was there. A group of sixth formers have returned home from Paris after they were caught up in the Paris terrorist attacks. The students arrived at the Thomas Hardye School in Dorchester on Sunday. They were in a restaurant in central Paris when the attacks began. When the all-clear came they walked three miles back to their hotel because the Metro was closed. Parents praised the teachers for keeping them informed. Services of solidarity have taken place in churches across the south, as the world comes to terms with the tragic events in Paris. Prayers have been said at Canterbury Cathedral for the victims of the terrorist atrocities. The Very Reverend Dr Robert Willis, Dean of Canterbury Cathedral, spoke to ITV Meridian of his shock and sadness. Hundreds of people have gathered in Oxford to remember the victims of the Paris terror attacks. They marched through the streets of the city from the Radcliffe Camera to the Maison Francaise, where a vigil was held. 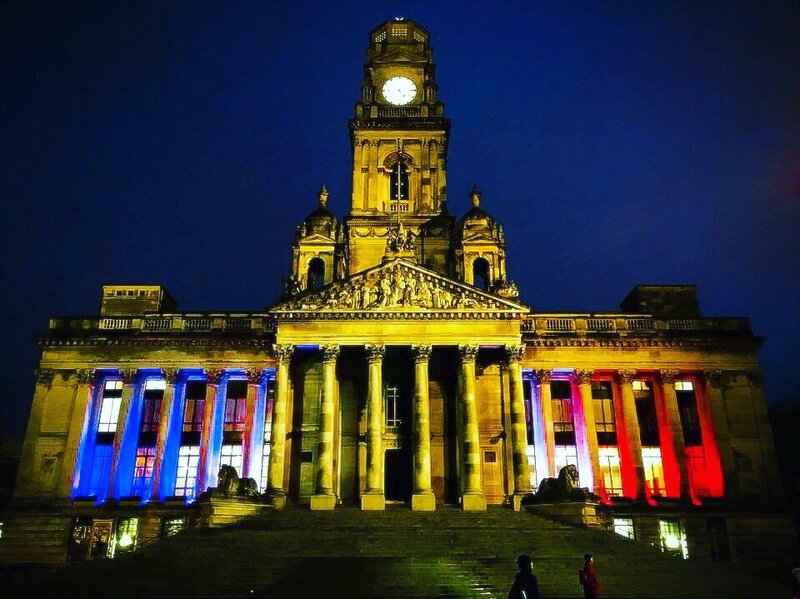 Around 300 people took part in the event, to show solidarity with the people of France. Many of those present were French themselves. 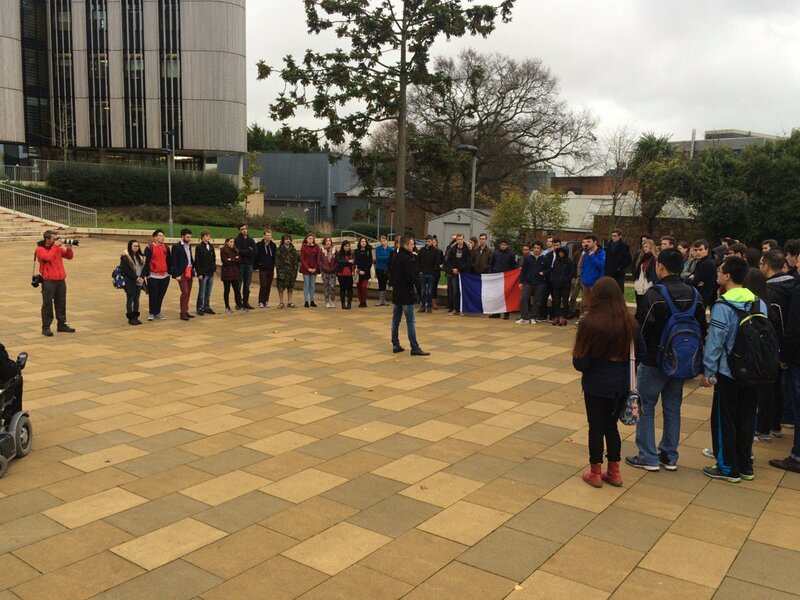 Students at Southampton University have held a minute's silence for those caught up in the terrorist attacks in Paris. A group of sixth form students from a school in Dorset are due to return home from Paris shortly, after getting caught up in the terrorist atrocities. The art and photography students from Thomas Hardye School in Dorchester were on a weekend trip to the French capital. It's thought they were in a restaurant at the time of the attacks, and were aware of the enormity of the situation. But the youngsters and their teachers were unharmed. However, it's reported they had to walk three miles back to their hotel after the attacks because the transport system had closed down. Hundreds of people are expected to take part in a rally in Oxford this afternoon in response to the terrorist atrocities in Paris. A demonstration will be held outside the Radcliffe Camera from 2pm, before a march to the Maison Francaise on Norham Road. 300 people have already said they would attend in response to a Facebook appeal. Organisers hope to show solidarity with Paris, its inhabitants, survivors and victims of terrorism all over the world. Landmarks around the south have lit up in the colours of the French flag to show solidarity with victims of the Paris terror attacks. The Brighton Wheel, Portsmouth's Spinnaker Tower, and a number of public buildings and theatres are among the buildings being lit up in the colours of the French Tricolour. Thank you to our viewers for sending us these images. If you have any more that you'd like to share, please email them to itvnewsmeridian@itv.com or go to the Meridian Tonight Facebook page. More than thirty schoolgirls are returning home to relieved parents in Kent tonight after last night's terror attacks halted their school trip to Paris. The pupils from Folkestone School for Girls were approaching the French capital as the massacre began. Tonight David Cameron warned Britiish casualties are likely. Heightened security is disrupting air travel and cross-channel services. John Ryall reports. The interviewees are Chris Ruddle, Minister at Folkestone Baptist Church; and Charlie Elphicke the MP for Dover.